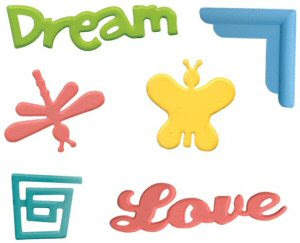 Double-sided adhesive foam creates instant 3-D art. 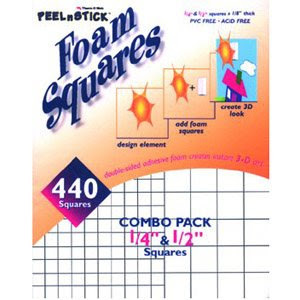 Contains 440 squares. 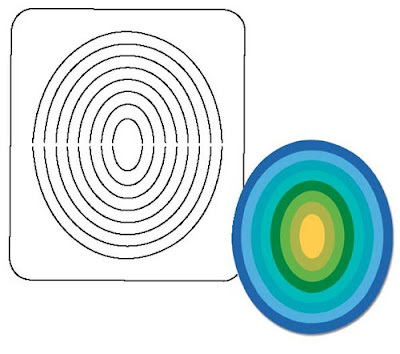 1/4" AND 1/2" diameter. 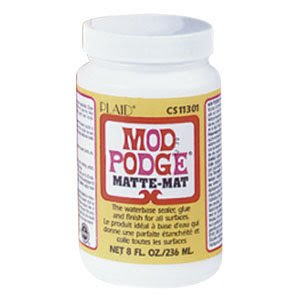 This non-toxic and non-flammable glue and sealer is ideal for all surfaces. It's waterbased, for easy clean up. 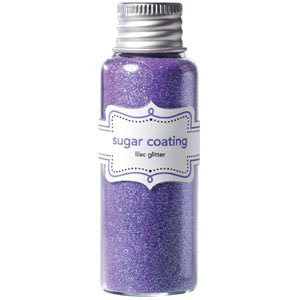 Washes out of your brushes easily. 8 fl. oz. Enjoy precision cutting with this totally new approach to cropping shapes without measuring, tracing or handling cumbersome tools. The precision laser cut channels are designed for use with the Guarded™ Swivel Knife and Easy Glide™ Cutting Mat. Enjoy precision cutting with this totally new approach to cropping shapes without measuring, tracing or handling cumbersome tools. Crystal clear nested template will fit a 4" x 6" photograph with an extra 1/4" border to mat the photo. The smaller inside shape will fit a wallet size photo. The precision laser cut channels are designed for use with the Guarded™ Swivel Knife and Easy Glide™ Cutting Mat. 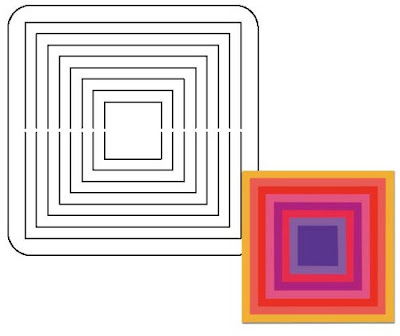 Cut perfect borders, layers and mats for your photo with unmatched ease and accuracy. Enjoy precision cutting with this totally new approach to cropping shapes without measuring, tracing or handling cumbersome tools. 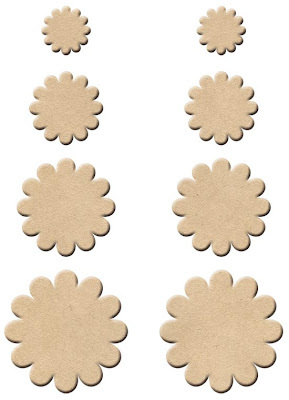 The precision laser cut channels are designed for use with the Guarded Swivel Knife and Easy Glide Cutting Mat. 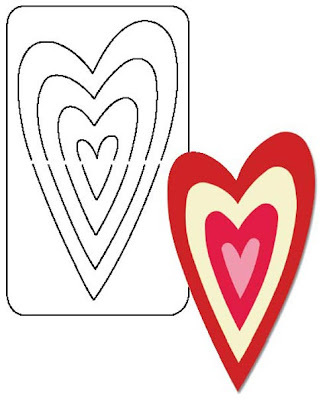 Template measures 5-1/2" x 5-1/2". Packaging Size 7" x 8.5"
The channels on this template are mid way between the channels on the original circle template and are perfect for matting and cropping. Template must be used with Coluzzle Guarded Scoring Tool, Swivel Knife and Easy Glide Cutting Mats. 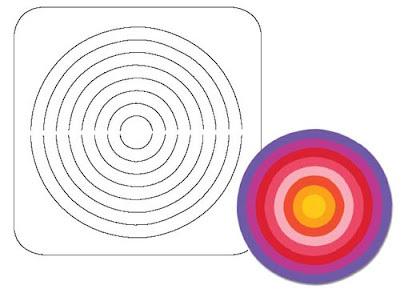 Clear template allows for perfect alignment and precise cropping. Laser-cut channels assure accurate, smooth cuts. 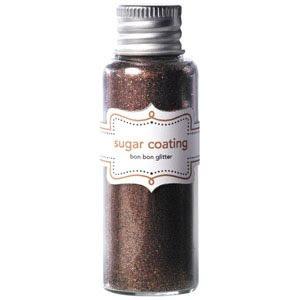 Manufactured by Provo Craft. 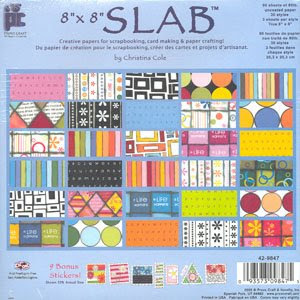 Package size 7" x 8.5"
Enjoy precision cutting with this totally new approach to cropping shapes without measuring, tracing or handling cumbersome tools. Crystal clear nested template will fit a 4" x 6" photograph with an extra 1/4" border to mat the photo. The smaller inside shape will fit a wallet size photo. The precision laser cut channels are designed for use with the Guarded™ Swivel Knife (sku 44-5365) and Easy Glide™ Cutting Mat (sku 44-5363). 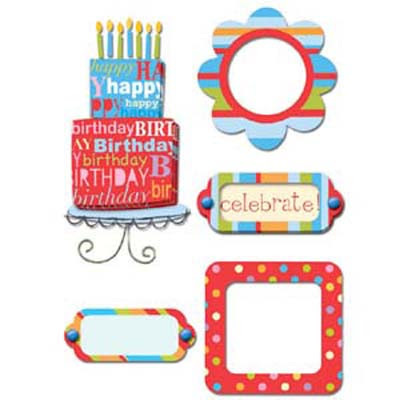 Cut perfect borders, layers and mats for your photo with unmatched ease and accuracy. From the Coluzzle line. 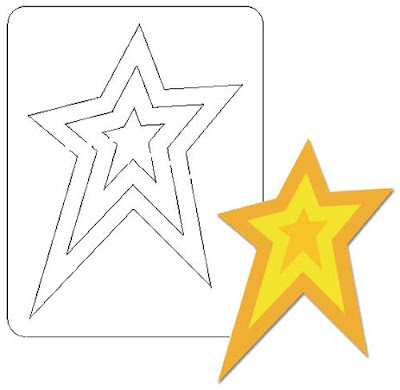 Enjoy precision cutting with this totally new approach to cropping shapes without measuring, tracing or handling cumbersome tools. 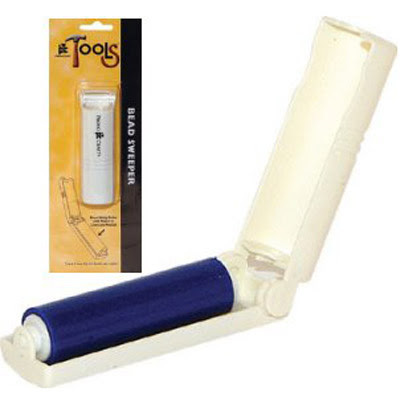 The Guarded Swivel Knife has a uniquely designed guard that prevents the swivel blade from scraping and nicking your Coluzzle templates and helps to center the blade into the template channels. 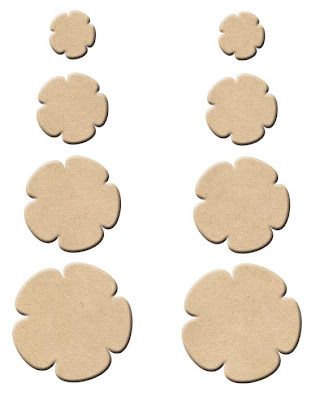 Used with the Easy Glide Cutting Mat (sku 44-5363), you can cut perfect shapes with unmatched ease and accuracy. Two blades per package. Enjoy precision cutting with this totally new approach to cropping shapes without measuring, tracing or handling cumbersome tools. 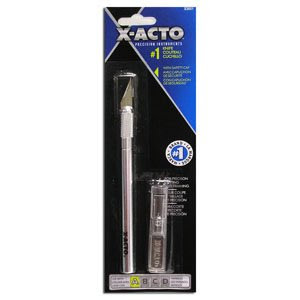 The Guarded Swivel Knife has a uniquely designed guard that prevents the swivel blade from scraping and nicking your Coluzzle templates and helps to center the blade into the template channels. 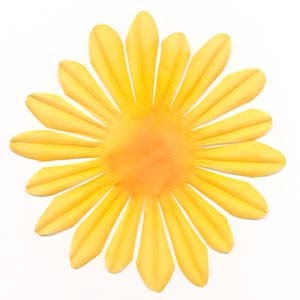 Used with the Easy Glide Cutting Mat (sku 44-5363), you can cut perfect shapes with unmatched ease and accuracy. The Easy Glide Cutting Mat allows the Guarded Swivel Knife blade (sku 44-5365) to swivel freely around template channels and also will prolong the life of your blades. 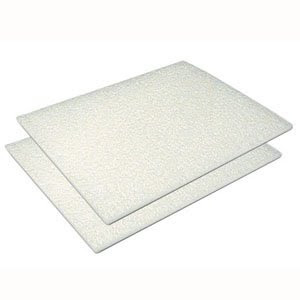 The 11" X 14 "size cutting mat is perfect for the larger Coluzzle templates. 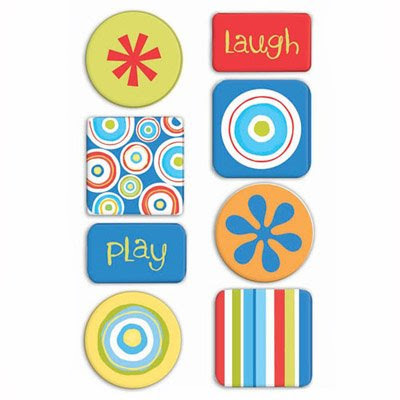 Cut a shape, emboss a shape, or cut then emboss a shape with the inspired designs available exclusively with Cuttlebug. 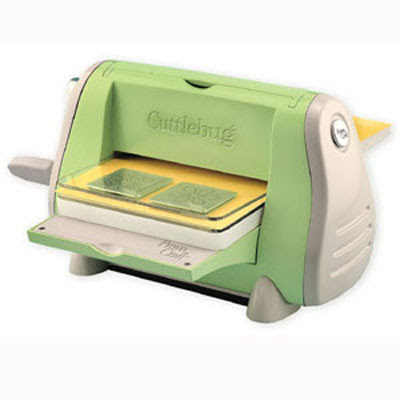 Cuttlebug accepts the dies you already own without judging. It's compact fold-n-store profile allows storage in less space than other leading machines. With a build in pop up handle, Cuttlebug goes wherever you find inspiration. Manufactured by Provo Craft. Includes Machine, 1 A, 2 B, 1 C Cutting Mats and Instruction book. 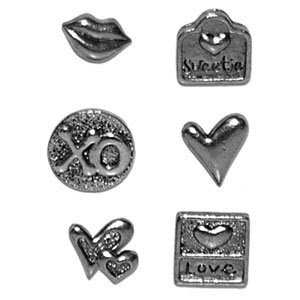 Sold in a set of 10 dies. 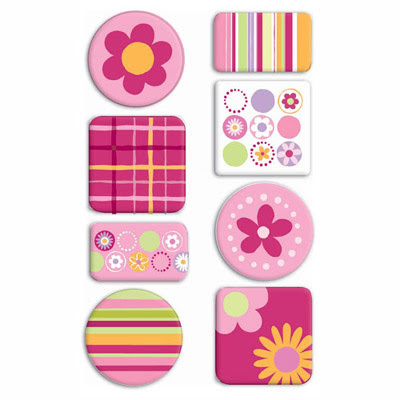 Each die measures 2" x 6". 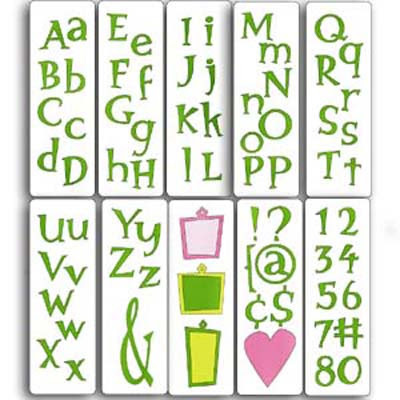 Contains the complete alphabet as well as complementary numbers, symbols and shapes. The thin design offers compact portability Manufactured by Provo Craft. 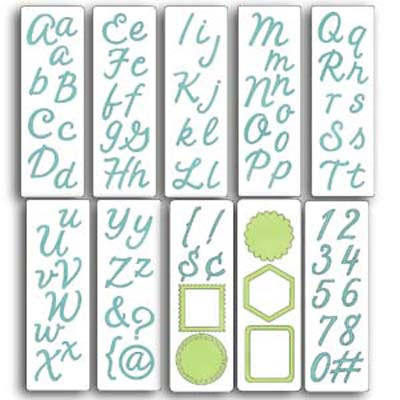 Foam stamps are lightweight and easy to use. They also allow you to personalize your projects with ease. 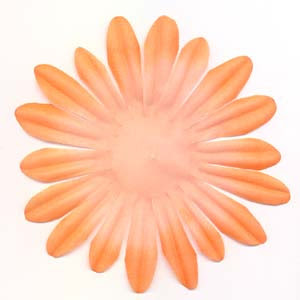 Clean up in a snap with soap and water. From the Destinations line. 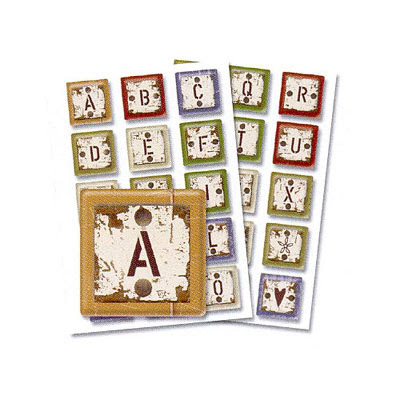 Chipboard monograms are fun to use, adhesive backed and make your projects even more interesting with their unique finish. 36 pieces. 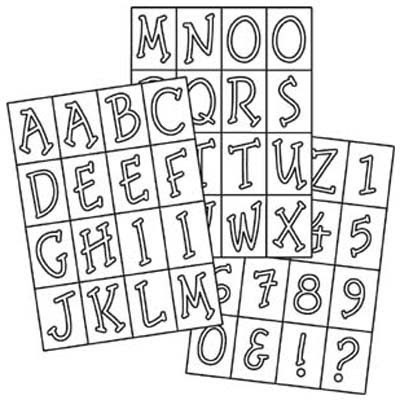 1 of each Uppercase Letters and Numbers. 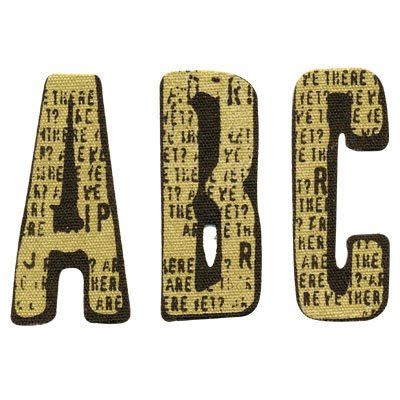 Chipboard alphabets add flair to any project! Pieces are cut and ready to go. Coordinate with the Etcetera line. 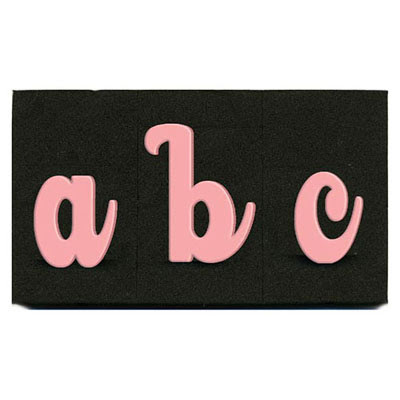 Individual letters measure approximately 1-1/4" X 1-1/2" and chipboard card measures 2-1/2" X 1-7/8". The new Mon Petit line. 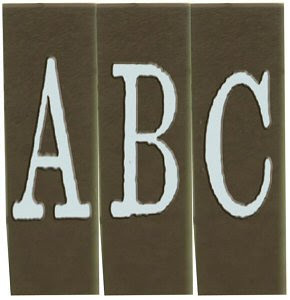 Chipboard monograms are fun to use, and these make you project even more interesting with their unique flocked finish. 36 pieces. 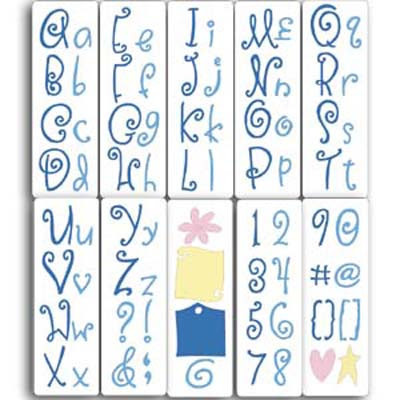 One of each Lowercase Letters and Numbers. Talk about handy! 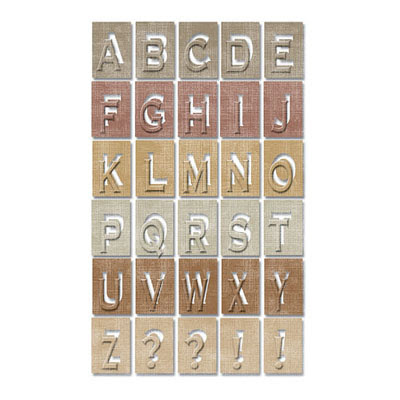 These chipboard letters have an adhesive backing to make using them a piece of cake! 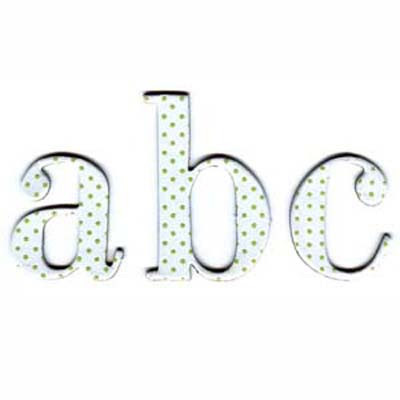 You not only get the letter, but you get the cut-out around the letter. Seperate the two and have twice as many to use. 96 pieces total. 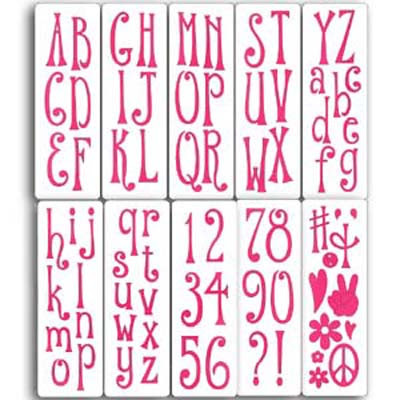 It's the complete alphabet with two of each vowel. Numbers 0 - 9, and three punctuation marks. 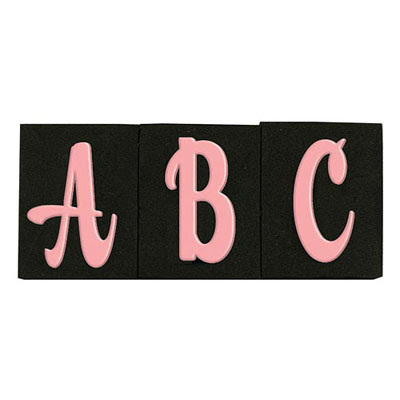 Outter measurement 2-1/4" tall, letter measures approx. 1-3/4" tall. Comes in a tidy carrying case. 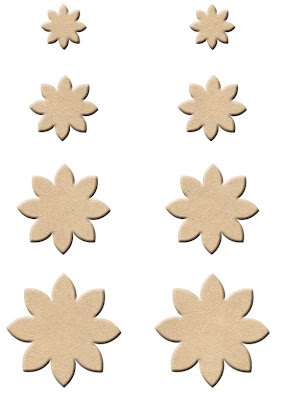 These chipboard embellishments are anything but ordinary. 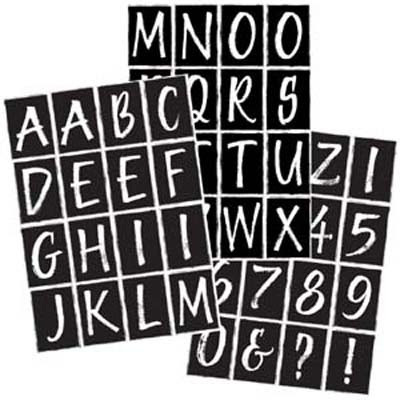 Part chic, part nostalgia, totally fun and sassy, Etcetera chipboard embellishments will enhance any project. Made from sturdy chipboard. 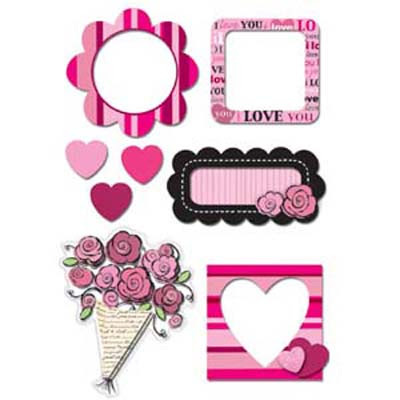 Great for adding pizzaz to any card, layout or paper crafting project. 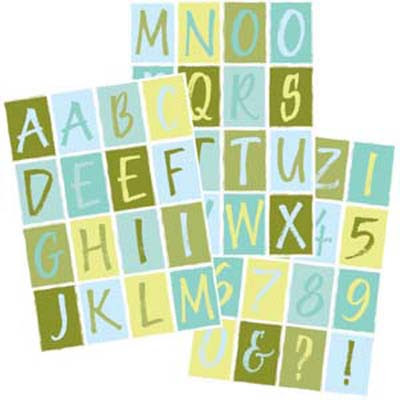 Clear acrylic coating provide depth and elegance for these lighthearted alphabet letters. 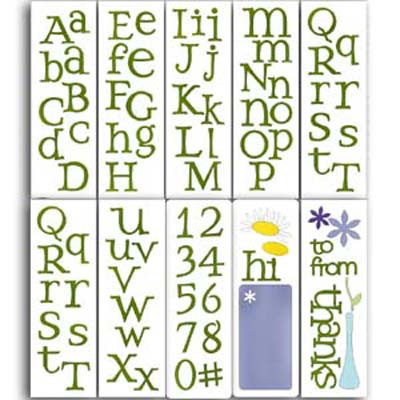 Includes full alphabet and four design tiles. 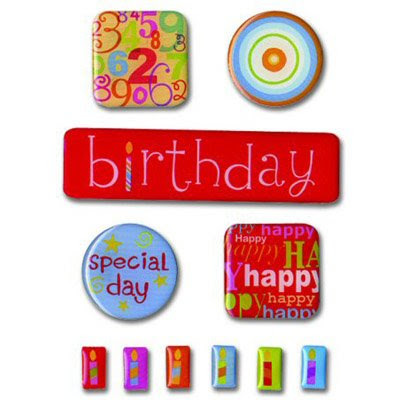 Individual stickers measure 1" X 1". 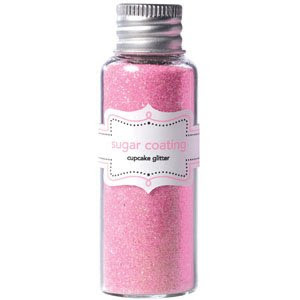 Doodlebug Design Inc.™ fun to use custom color sparkly glitters come in an assortment of 12 mini spice jars of 1.25 gram bottles. Perfect for gourmet scrapbookers. 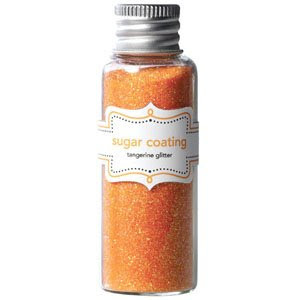 Acid free and safe for all paper crafts. Not a food product or intended for children under three years old. 12 Pack. 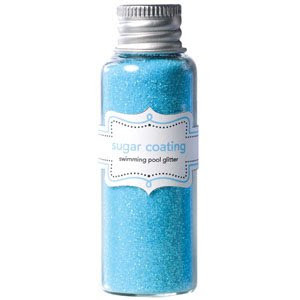 Sugar Coating glitter is the perfect ingredient for sweetening any layout or craft project! Available in 12 custom colors, Doodlebug Sugar Coating glitter is fun to use and safe for all paper craft projects. 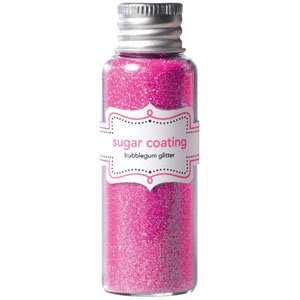 This bottle contains 32 grams of Doodlebug colored glitter. 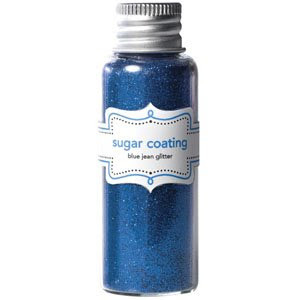 Quick cleanup for rolling, sneaky, tiny runaway embossing powder, beads and glitter. 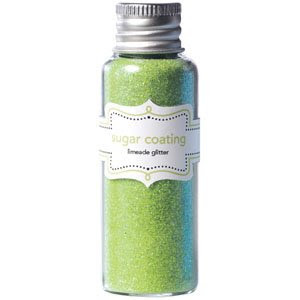 Simply rinse the sticky roller with warm water to clean and reuse it, or gently brush beads back into their container after picking up with this handy tool. Measures 1-1/8" x 4" (closed). 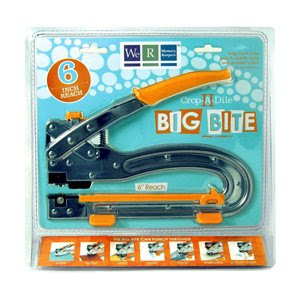 We R Memory Keepers makes it easy to install grommets with the Crop-A-Dile II Big Bite tool! It is eight tools in one! The Crop-A-Dile II punches and sets eyelets, snaps, grommets through paper, leather, fabric, plastic, thin tin, chipboard and so much more. 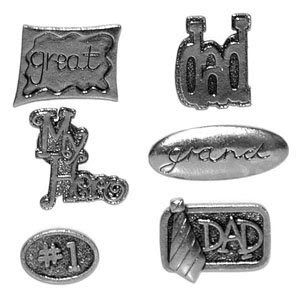 Easily punch through your craft material, thick or thin, and then set the embellishment in your project. 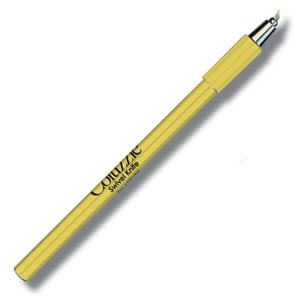 This Crop-A-Dile II has a 6” punch-reach which allows you to set enhancements in the center of a 12” X 12” page. The Crop-A-Dile II measures about 10"L x 2"W x 7-1/2"H.
A Silent way to set your eyelets. 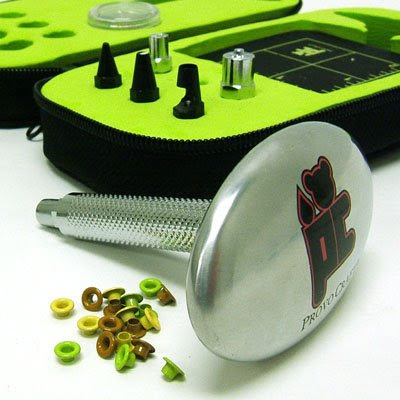 Quickly and quietly sets eyelets without misshaping the metal. Works best on aluminum eyelets. 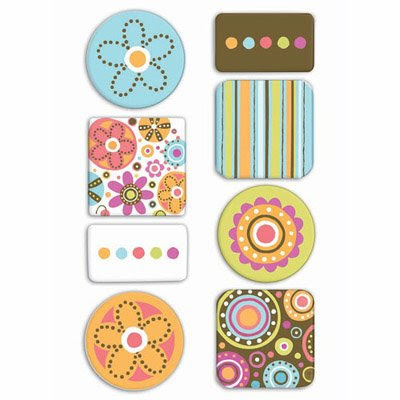 8 piece set includes: 3 hole punch tips (micro, standard, and large), Setting Mat, Silent Setter, Zippered Case, and 50 Free Eyeletz. 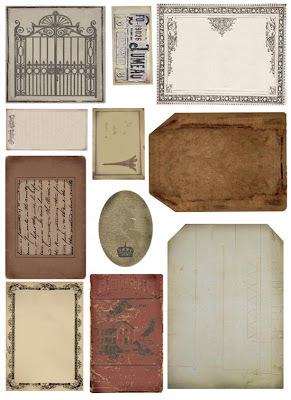 30 different styles of paper. 3 sheets of each style. Acid and lignin Free. 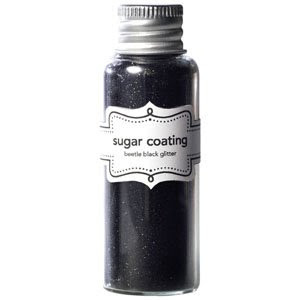 Excellent for scrapbooking, card making, and so much more! Manufactured by Provo Craft. 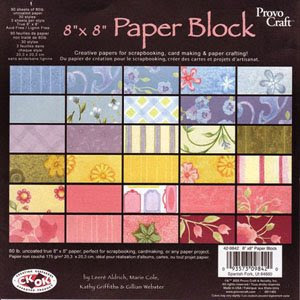 Creative papers for scrapbooking, card making & paper crafting. 80 lb. uncoated, true 8" x 8" paper. 3 sheets of each different style. 30 styles. 90 sheets of 8" x 8" paper. Acid Free. Lignin Free. 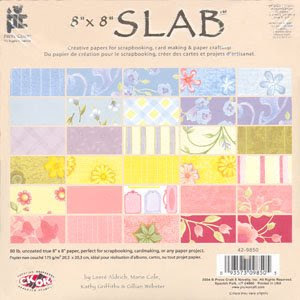 Creative papers for scrapbooking, card making & paper crafting. 80 lb. uncoated, true 8" x 8" paper. 3 sheets of each different style. 30 styles. 90 sheets of 8" x 8" paper. Acid Free. Lignin Free. PLUS: 9 bonus stickers! 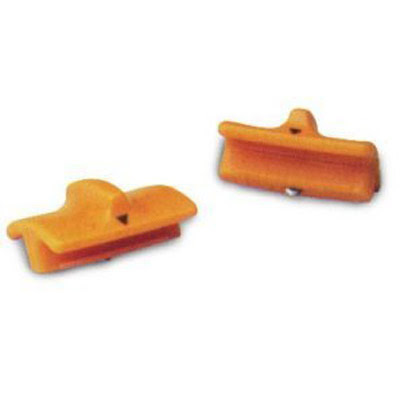 Two refill blade cartridges for use with the 8-1/2" and 12" Fiskars personal trimmers. Want to see how your project will look before it's final? Well then you need Basic Grey's Magnetic Precision Mat! 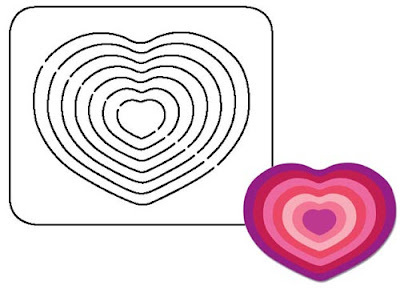 Magnetic attraction holds designs in place until it's where you want it to be. Slip-resistant ruler for easy trimming. Easy to read precision measuring with the perimeter marked every 1/8" and the interior marked every 1/2". 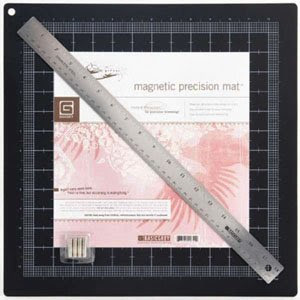 Kit includes one 18" magnetic stainless steel ruler; 8 ultra-strong magnetic tacks; and one 15"x15" self-healing magnetic mat. Harmful if swallowed. 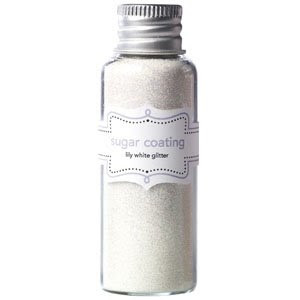 Manufactured by Basic Grey. 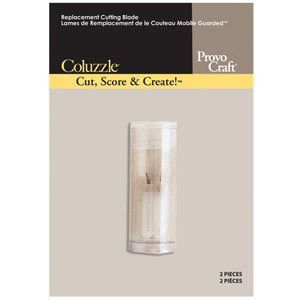 For precision cutting and trimming. Comes with a safety cap and 1 blade. 5" long. 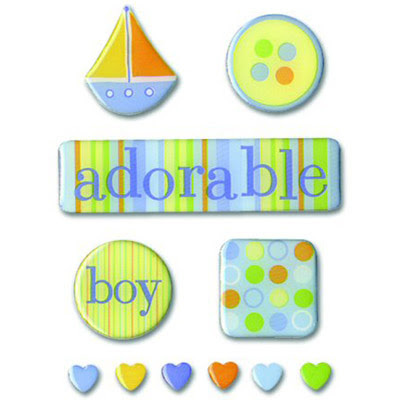 The Unique Boutique handcrafted dimensional stickers will charm their way into your heart. 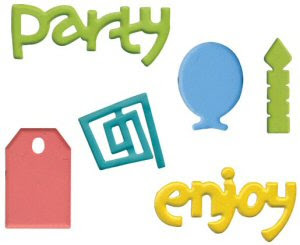 Use these stylish 3-D stickers to add flair to any craft project. 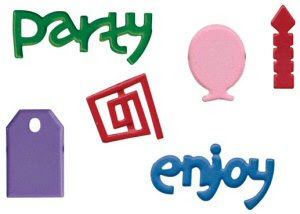 Add some "pop" to your pages with these unique, foam-backed epoxy stickers. 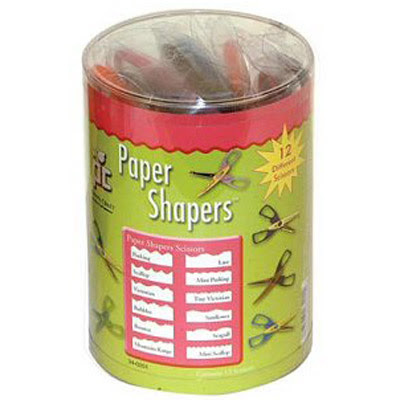 Includes 12 Scissors: Choppy Wave, Pueblo, Lace, Princess, Turret, Picket Fence, Torn Edge, Shag Carpet, Small Grass, Blooper, Curling Wave, Postage Stamp. Includes 12 Scissors: Pinking, Scallop, Victorian, Bubbles, Bounce, Mountain Range, Lace, Mini Pinking, Tiny Victorian, Sunflower, Seagull and Mini Scallop. 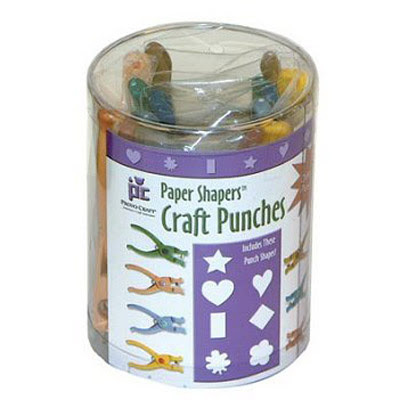 Includes 7 punches: star, heart, rectangle, oak leaf, primitive heart, square and flower. Seriously big, bold, bright and beautiful? 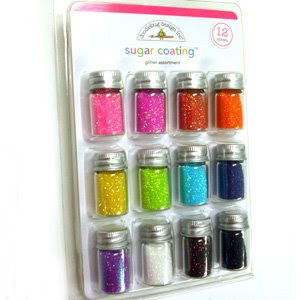 Wait till you see what these will do for your projects. 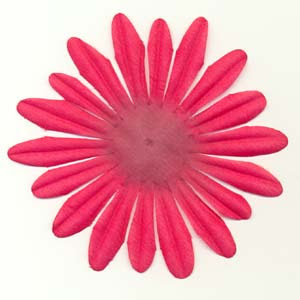 Flowers measure 5" in diameter. 4 pieces re-pack. Seriously big, bold, bright and beautiful? Wait till you see what these will do for your projects. 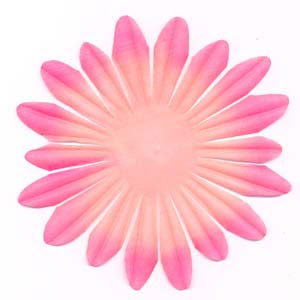 Flowers measure 5" in diameter. Qty. 12. 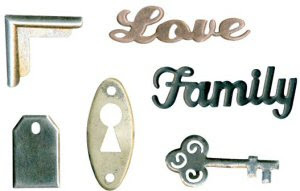 Fun, metal accents are ideal for adding texture and dimension to any project. 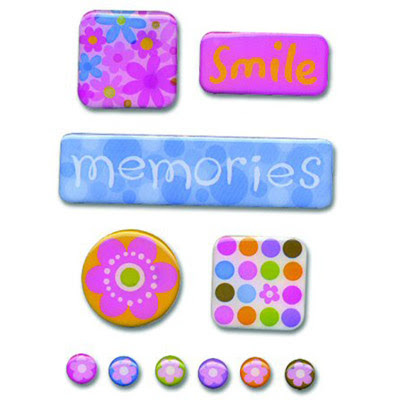 Bigger Bradletz are the perfect embellishment for crafting projects such as: scrapbooks, cards, tags, jewelry making and much more. 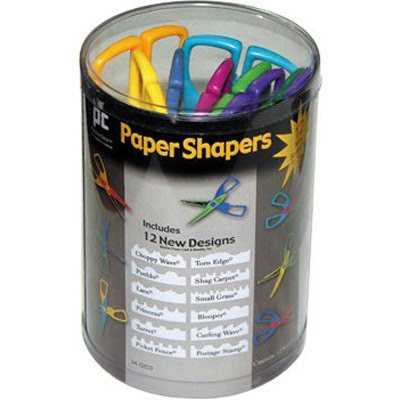 Come in a 3.5"x4.5"x1" partitioned snap-close box for easy storage. Average size of a Bigger Bradletz piece is 0.75"x0.75" Value pack contains 90 pieces. 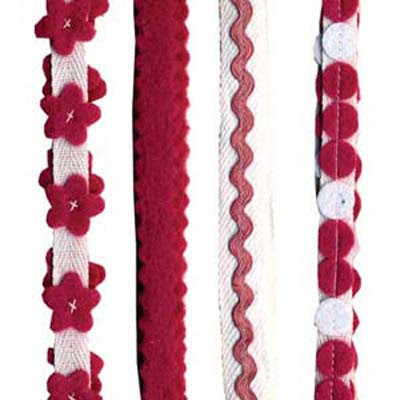 These are unique ribbons of felt and twill. 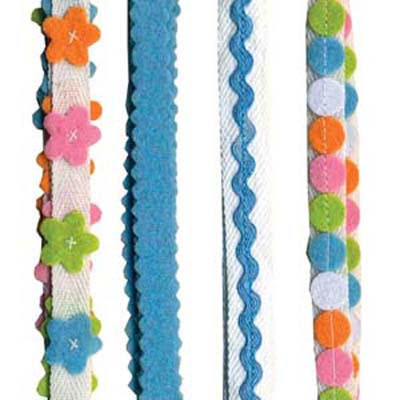 4 different ribbons, 1 yard of each. 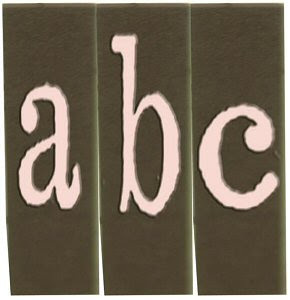 Have some fun with the inventive flip ring ribbon slides from Accentials. 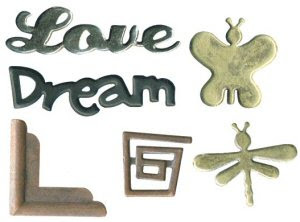 These are no ordinary ribbon slides - both the metal outer ring and inner circle can both be flipped to offer more decorative opitons. 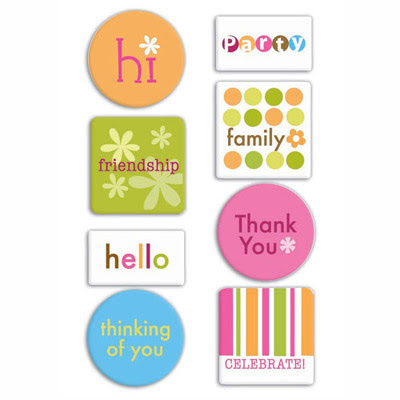 Check out all the sassy messages and trendy designs. 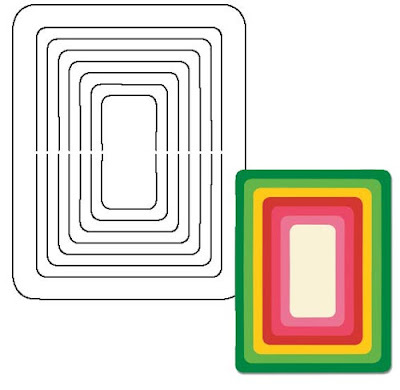 4 flip rings per pack. 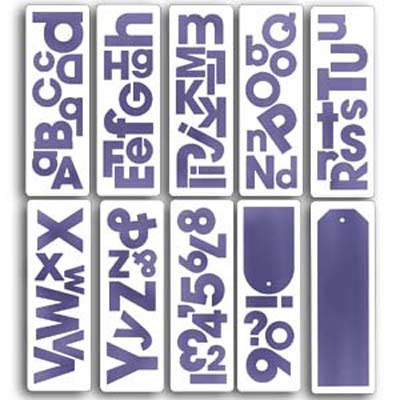 Attachments is a line of magnetic accessories that can be used to accent just about any craft or project. 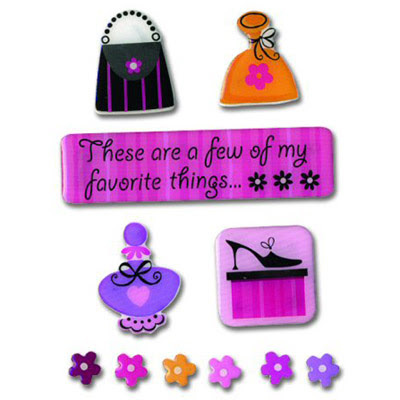 With designs that cover the spectrum from cute to elegant, there's something to please everyone! hi! are you based in the philippines? how can i order online? i really want to order the paper stack... please do reply thank you! 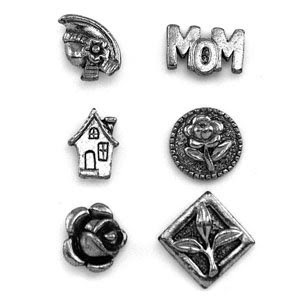 hi, wondering how i can order the vintage tags. here in san diego, california. thank you. 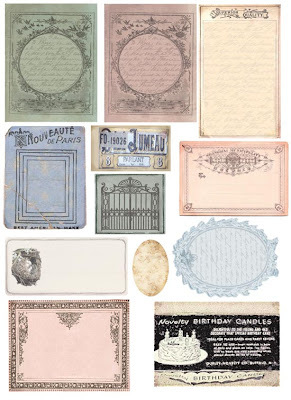 wondering how or where to order the vintage tags. here in san diego, california. thank you. kinԁs of things in quality? This means they are going to drop their tensile energy and won't have the opportunity to deliver you while using the work out that you want and have to have. To begin with these home gyms are according to creating muscle by strength coaching. contact on how they acquired the light electrical sound that accompanied the acoustic guitar. I'm really enjoying the theme/design of your blog. Do you ever run into any web browser compatibility issues? A few of my blog visitors have complained about my website not operating correctly in Explorer but looks great in Chrome. Do you have any recommendations to help fix this problem? that you've got most likely observed on Tv set could be the Bowflex Revolution. This decreases your freedom of motion and increases the risk of harm to oneself. detracts with the outcomes which might be achieved. You'll be training your back again and stomach muscular tissues when conducting these work outs in an upright position. titles to get viewers to open the links. You might add a video or a pic or two to get people interested about what you've got to say. Just my opinion, it might make your posts a little bit more interesting. You've made some good points there. I looked on the internet for additional information about the issue and found most individuals will go along with your views on this website. It's an amazing article designed for all the internet people; they will get advantage from it I am sure. Hi, i feel that i saw you visited my weblog thus i got here to return the want? .I am trying to in finding things to improve my site! I guess its ok to make use of some of your concepts! score if ads and marketing with Adwords. Well I'm adding this RSS to my email and can look out for a lot more of your respective exciting content. Ensure that you update this again very soon.